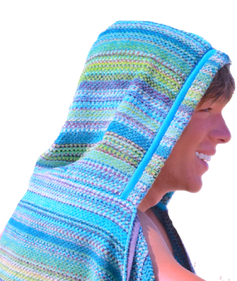 TowelHoodies are the most plush and absorbent hooded towels, made from eco-friendly terry-cloth combed cotton for extra softness. 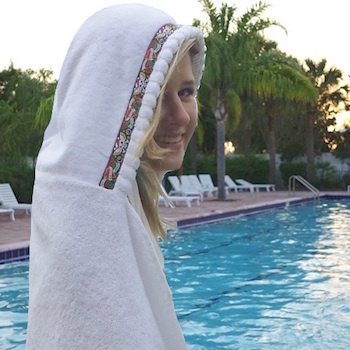 Everyone loves to reach for a cozy TowelHoodie. 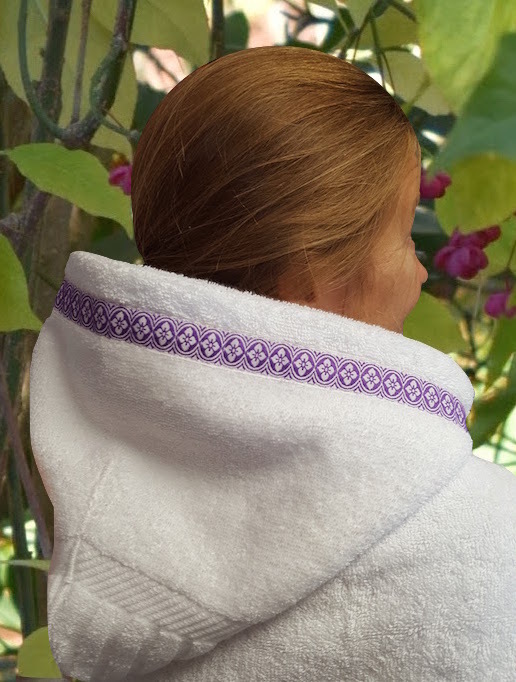 Select your choice of Jacquard ribbon for each hooded towel. 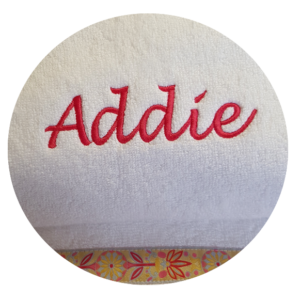 You can also add an embroidered name or monogram. 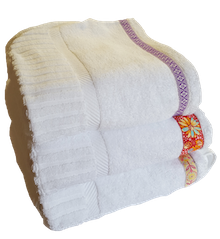 We import only the most plush and absorbent cotton bath sheets (generous-sized towel-body measures 70″X35″ ). 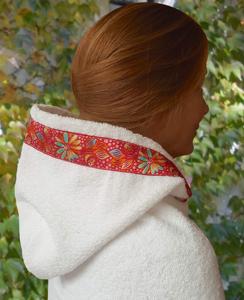 Our trademark hood looks amazing while keeping loved ones warm. 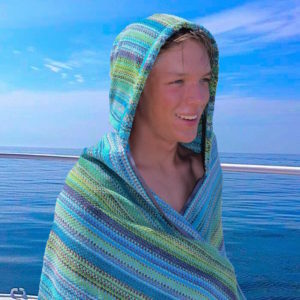 Strong enough for both Beach and Bath. 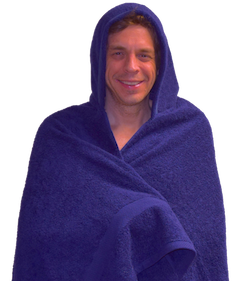 Every TowelHoodie lasts for years of cozy times. 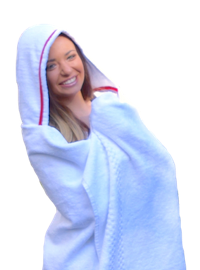 Thick combed cotton make TowelHoodies comfy and absorbent, the best Luxury Hooded Towels! 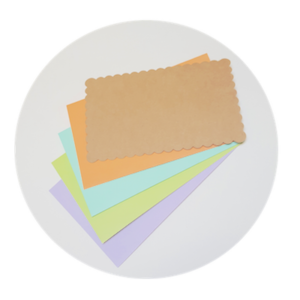 Authentic imported “Jacquard” Ribbon featuring a stunning, floral “Strawberry” theme for an amazing look.